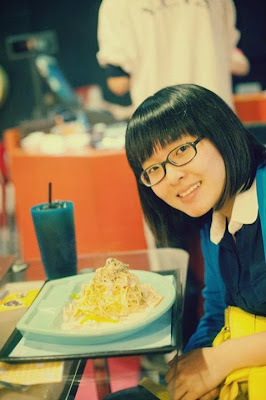 Here's a throwback post to a restaurant I greatly miss — Modern Toilet Restaurant — because of the fond memories and the great food I had there. 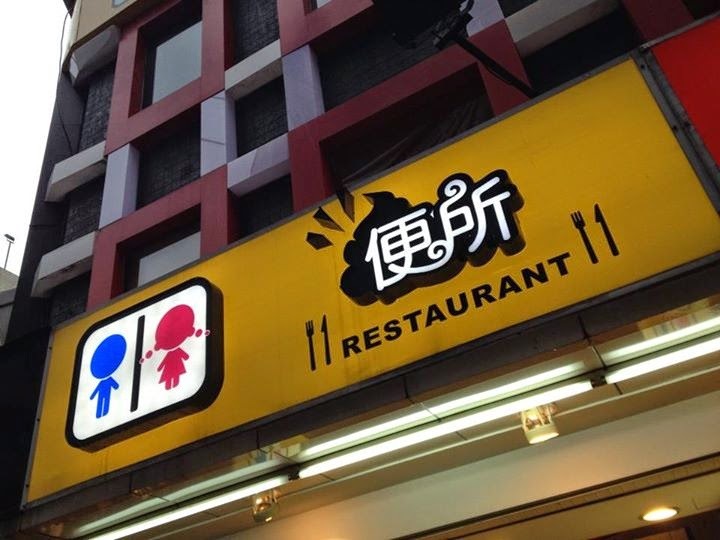 I've read many online reviews about how tourists have said that it is nothing but a novel theme, and I thought they must have ordered the wrong food. Or that they weren't used to Chinese food. 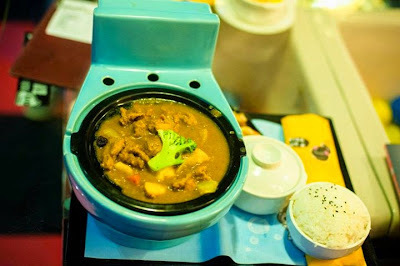 Around for many years, let's look at whether the novelty of Modern Toilet Restaurant is still existing. There is a minimum spending of NTD80 (SGD3.40) per head, but just a meal alone would exceed that value. 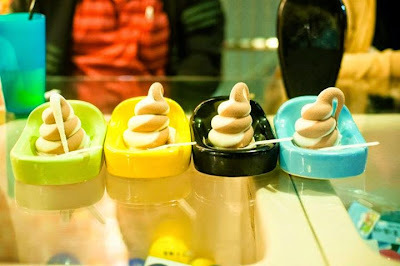 The seats are in the form of toilet bowl and decorations include shower heads and tiles. 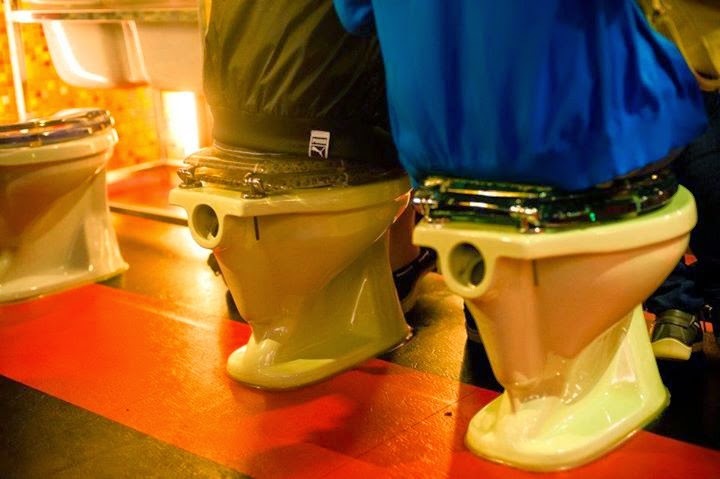 The entire experience feels like you are really eating in the toilet though, except that it does not make you feel disgusted at all. For the best wholesome Modern Toilet experience, here's what you should eat! Served together with the main meal, beverage and ice-cream, the corn soup is a great starter and tasted very different from the usual. It is thicker, creamier and tastier. 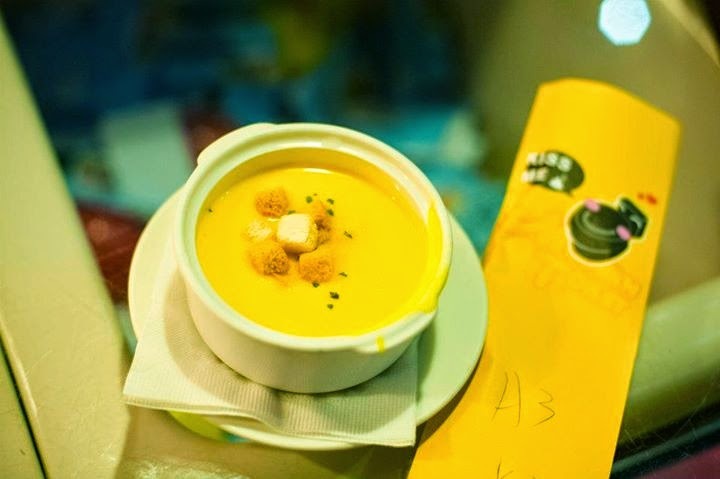 This bowl of corn soup is the only dish in the restaurant that does not have a toilet-theme to it. The delicious gooey curry hails a shaved broccoli in the centre of their toilet bowl. It really does look like one had a diarrhea. The sweet aroma of curry together with the chunks of chicken was a great accompaniment with the soft, fluffy rice. 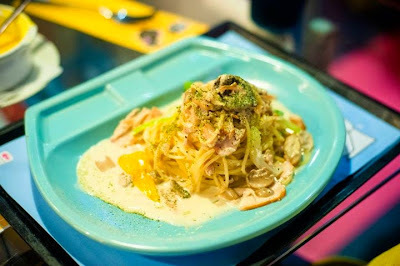 The dish remained hot for a long time despite the cold weather in Taiwan. I would recommend this to anyone looking for something hot and sweet. The pasta was served in a sink and I loved the cream sauce that came along with it. It wasn't too thick but tasted a little milky. I could make slurping noises with the pasta because the noodles were very springy and smooth. The portion was too little though. 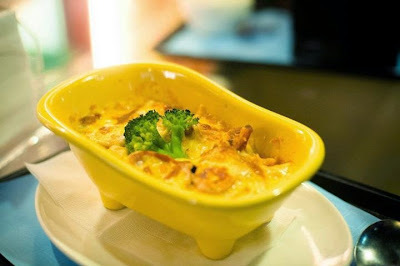 I would highly recommend this bathtub, I mean, smoked chicken with cream sauce au gratin! With another sad-looking broccoli in the centre, the portion size may look small, but it can actually be quite filling! 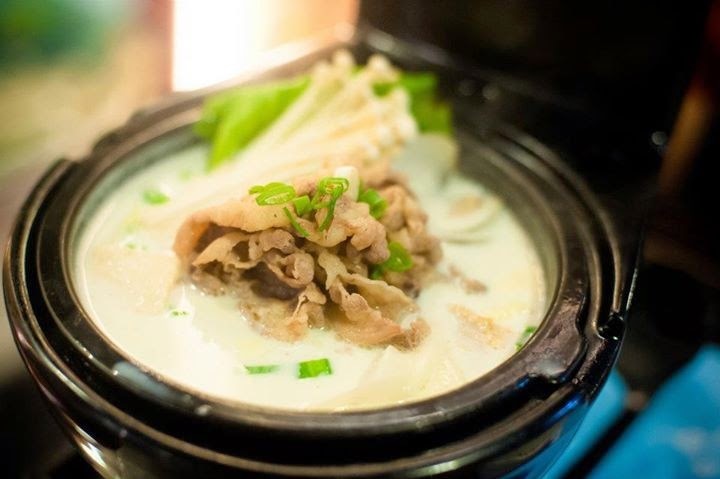 The soup has an odd taste to it — even though it is not bland or milky, it has a very strong spice taste which I didn't like. The meat was very little too, and I would not recommend you to try this dish. You can top up your meal with a drink for an additional NTD40. 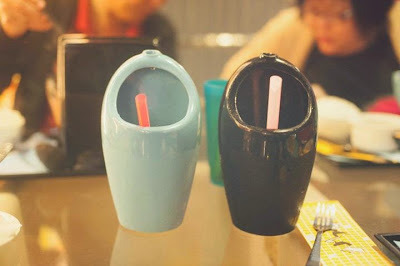 The milk tea comes in urinals, which makes the whole experience amusing and fun! We made a lot of jokes about it, but ultimately, the drinks were really refreshing in the cold weather. Made to look like poop, this soft-served ice-cream comes together with the drinks for NTD40. It has a mix of both chocolate and vanilla, and tasted really soft on the tongue. I thought I was eating snowflakes, really. If you haven't been there, the Modern Toilet Restaurant is worth a visit!